The Green Sports Alliance continues its collaboration with ESPN, which is in part focused on advancing social and environmental stewardship at ESPN proprietary events. After supporting ESPN at X Games Aspen this past January, next up in this exciting work is the X Games in Austin, Texas in early June. 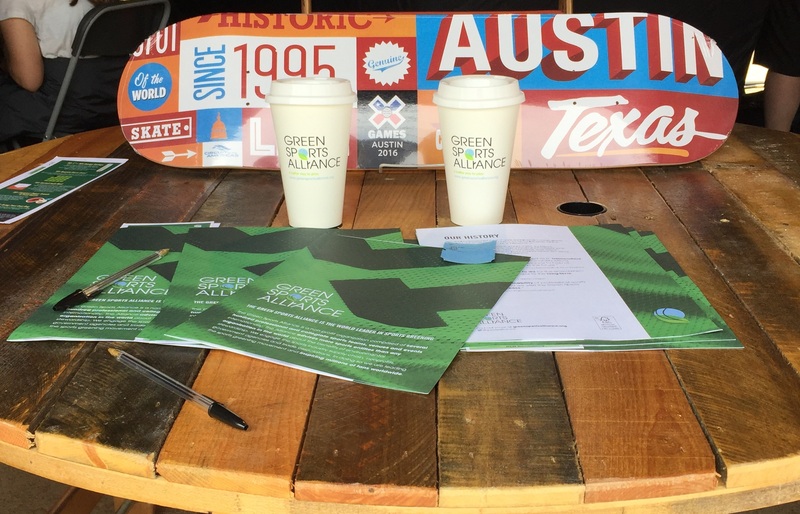 The Green Sports Alliance has been working closely with ESPN Corporate Citizenship staff in developing and planning the sustainability program for X Games Austin. The sustainability efforts for the upcoming event continue to be prioritized by significance of impact. The leading focus area is the event’s solid waste management program which is concentrated on landfill diversion through recycling and composting streams. The sustainability program also includes efforts and initiatives within the material and goods procurement process, recovery and donation of excess décor and food, ensuring responsible water use, prioritizing clean fuel and renewable energy use, and local community outreach and philanthropic support of social and environmental programs. The Green Sports Alliance will also support ESPN’s commitment to engaging and educating fans at X Games Austin on environmental and social responsibility by having a presence in the ESPN Corporate Citizenship activation tent on-site. The Green Sports Alliance’s relationship with ESPN continues to flourish and aligns with the organization’s mission and purpose focused on inspiring the sports industry and its stakeholders to embrace sustainability practices by leveraging the cultural and market influence of sports. We’re looking forward to supporting ESPN at X Games Austin – come out and see sustainability in action!